Ideally suited as a luxury residence or an investment property. Immaculately maintained property in a private gated estate in the Bukit. 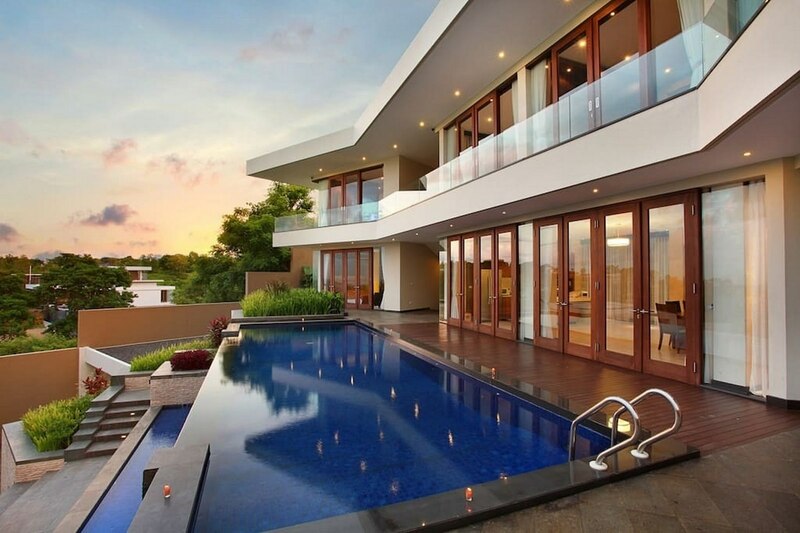 Magnificent views from this luxurious 6-bedroom villa in Goa Gong. Well appointed bedrooms also enjoy fabulous views. Fully fitted kitchen and generously proportioned lounge areas. The north-facing freehold property is located within a private gated estate in Goa Gong, Ungasan, around 15-minues from Bali's international airport. Set on approximately 800-square metres of land, the property's 380-square metres of luxury living space features 6-bedrooms, a fully fitted kitchen and lounge areas, all of which enjoy views over Jimbaran Bay with mountain ranges in the distance. A 12-meter infinity swimming pool, with waterfall feature, provides an ideal place to cool off and spacious outside areas are ideal for entertaining friends. Mey Peggy told WILLIAMS MEDIA "this magnificent property is ideally suited as a luxury residence or an investment property and is just a short drive to a selection of world class beaches, an 18-hole golf courses and a great selection of restaurants, shops and spas." To arrange a private inspection or to enquire about the property, phone or email Mey Peggy from Harcourts Purba via the contact details listed below.